PRINCETON, N.J.—Before Gen. George Washington entered the battlefield with reinforcements on the morning of Jan. 3, 1777, members of the Pennsylvania militia fired off two cannons to halt the advancing British troops. What Washington needed most 242 years ago was for the militia to delay the bayonet-wielding British soldiers operating under the command of Lt. Col. Charles Mawhood. 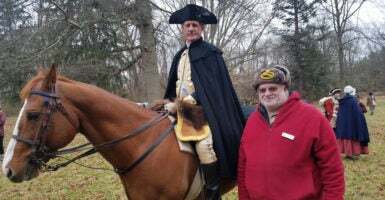 So historical interpreters and colonial-era re-enactors told The Daily Signal and crowds of onlookers during a real-time tour Dec. 30 at Princeton Battlefield State Park. About 200 local residents and out-of-town visitors attended the tour, which included a re-enactment of the battle. 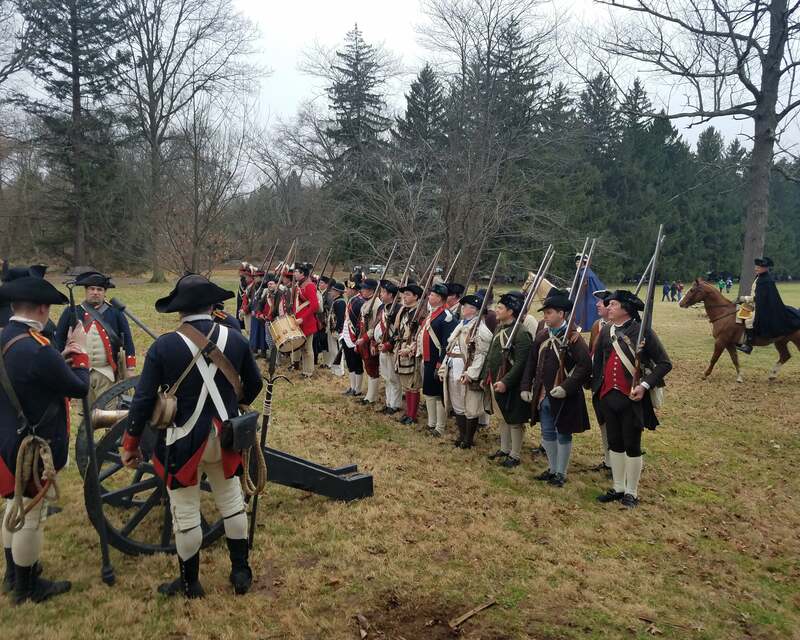 The actual fighting began at about 8:15 a.m. that Jan. 3, when British and American forces exchanged musket fire across a range of about 40 yards in an orchard on the William Clarke farm. The British initially outnumbered the Americans and had the upper hand, but this would change after Washington arrived. The battle ended about 9:30 a.m., when British redcoats surrendered after barricading themselves in Nassau Hall on the grounds of what is now Princeton University. Aglio, 31, of Newport, Rhode Island, was joined by fellow re-enactor Joshua Mason, 23, of Ticonderoga, New York. Both men helped portray the 2nd Battalion Artillery of Philadelphia Associators, which was under the command of Capt. Joseph Moulder. Since Pennsylvania was ruled by Quakers, who were pacifists, residents who wanted to fight for their new country could not officially join the Continental Army. So they formed their own militia group, which became known as the Philadelphia Associators. Aglio, a tour coordinator and library assistant for the Redwood Library and Athenaeum in Newport, said he has participated in re-enacting historic events for 12 years. 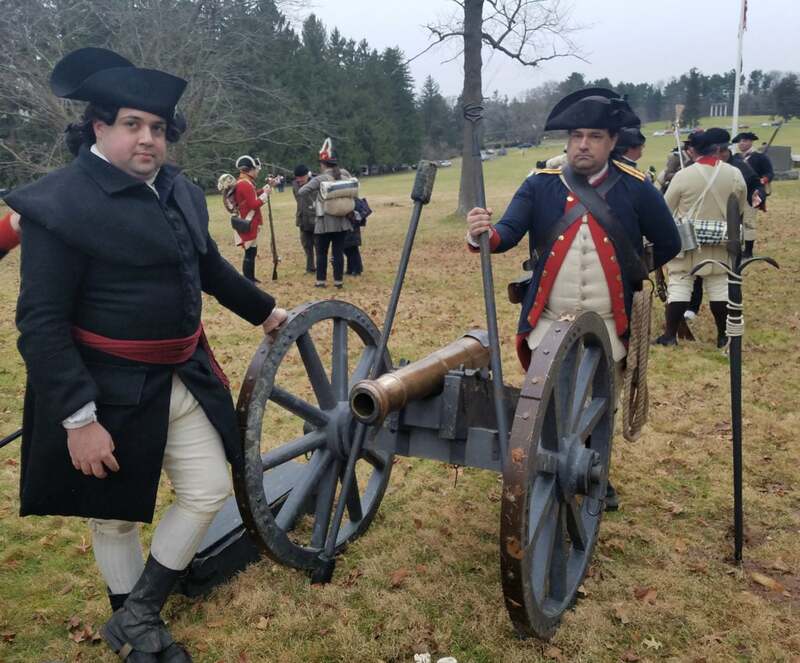 The cannons used during the re-enactment were smaller than the 4-pounder French cannons used during the battle, Mason said during the re-eneactment. He described the cannons as “highly effective weapons” that could strike multiple targets. The British had bayonets at the beginning of the battle, the Americans did not. The Philadelphia Associators are remembered for what they did because those cannons were critical, and Associators were able to fire one round each minute and helped to turn the battle. 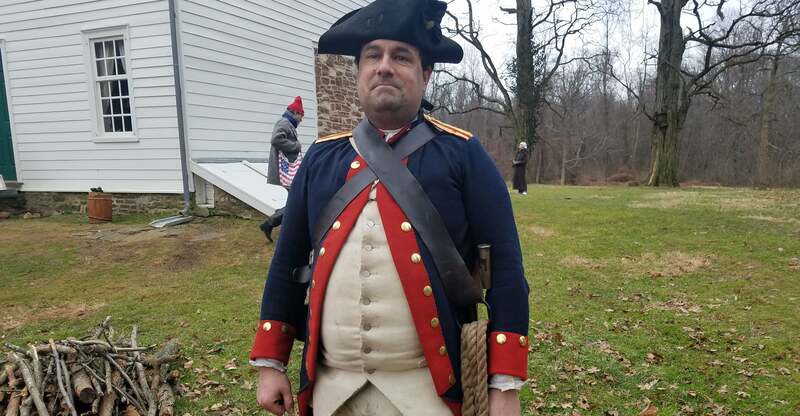 Mason, who works as the museum education coordinator at Fort Ticonderoga in upstate New York, said he became a re-enactor while a high school freshman. Ten years later, it’s still the little details like the uniforms that help motivate me, but the real driving force to hand-stitch uniforms and travel across the country is the chance to educate and encourage folks to learn more about the past and how it continues to impact America today and for generations to come. Re-enactors form up as they represent soldiers in Gen. George Washington’s Continental Army. Horses also had their place on the battlefield. John Koopman III, a resident of Colchester, Connecticut, who played the part of George Washington, made this point while discussing the general’s personal role in the counterattack. Koopman, author of the historical novel “George Washington at War–1776,” rode on horseback throughout the day and led the reinforcements from the Continental Army against Mawhood’s British troops in a part of the battlefield known as Maxwell’s Field, just as Washington did on that cold January morning in 1777. The Battle of Princeton marked the culmination of the “10 Crucial Days,” which began with what became known as Washington’s crossing of the Delaware River on Christmas night 1776, continued with the two battles of Trenton, and ended at Princeton. “They were a group of gentleman volunteers who held their line against the British at a critical moment,” re-enactor Brandon Aglio says. Mercer had an additional 200 men from his brigade positioned a few hundred yards behind the 120 soldiers who charged into the orchard. By the time the Pennsylvania militia, the Delaware Light Infantry, the Philadelphia Red Feather Company, and colonial Marines arrived to reinforce Mercer’s brigade, Fischer estimates, the Americans had about 1,500 troops, or three times the size of Mawhood’s forces. Mercer died after the battle from multiple bayonet wounds inflicted by British soldiers, who thought they had captured Washington. He was left for dead near a white oak tree that became known as the Mercer Oak, according to historical accounts. Because Moulder’s Philadelphia Associators positioned two 4-pounder cannons on high ground, however, Washington had time to organize reinforcements from the Continental Army into a counterattack against British positions. Retreating soldiers followed Washington’s lead and re-engaged the British. Mawhood ordered a retreat as the American forces surged ahead. 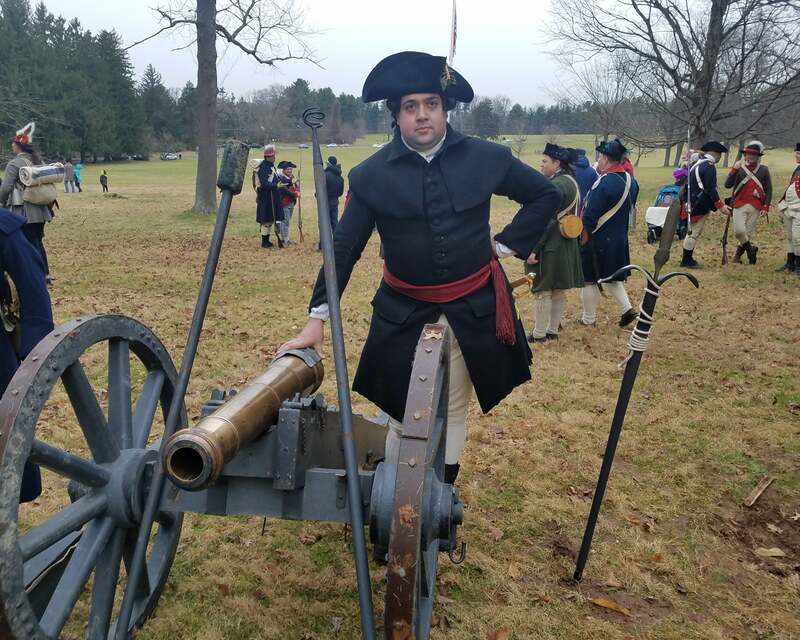 “We are talking about grapeshots that would disperse when fired, and they could hit several targets at roughly the same time,” re-enactor Joshua Mason says of the Americans’ cannon fire during the Battle of Princeton. Alexander Hamilton, the future secretary of the treasury who served as an artillery commander under Washington, forced the British to surrender after firing cannon balls on Nassau Hall, where the remaining British soldiers had taken refuge. Kidder, author of the upcoming book “Ten Crucial Days: Washington’s Vision for Victory Unfolds,” told listeners that Washington “visualized a row of dominoes” that began with his Christmas night crossing of the Delaware in 1776 and continued with his surprise attack on the Hessian garrison in Trenton amid bad weather. The Second Battle of Trenton, also known as the Battle of Assunpink Creek, was fought Jan. 2, 1777. The series of skirmishes along what is now Route 206 prevented the British from reaching Trenton until nearly nightfall. Washington slipped behind enemy lines that night and attacked the British in Princeton the next day. 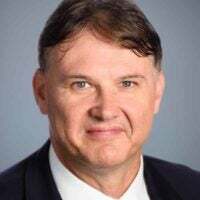 Roger Williams, a historical interpreter with the Princeton Battlefield Society, told The Daily Signal that this earlier battle should be linked with what occurred in Princeton. 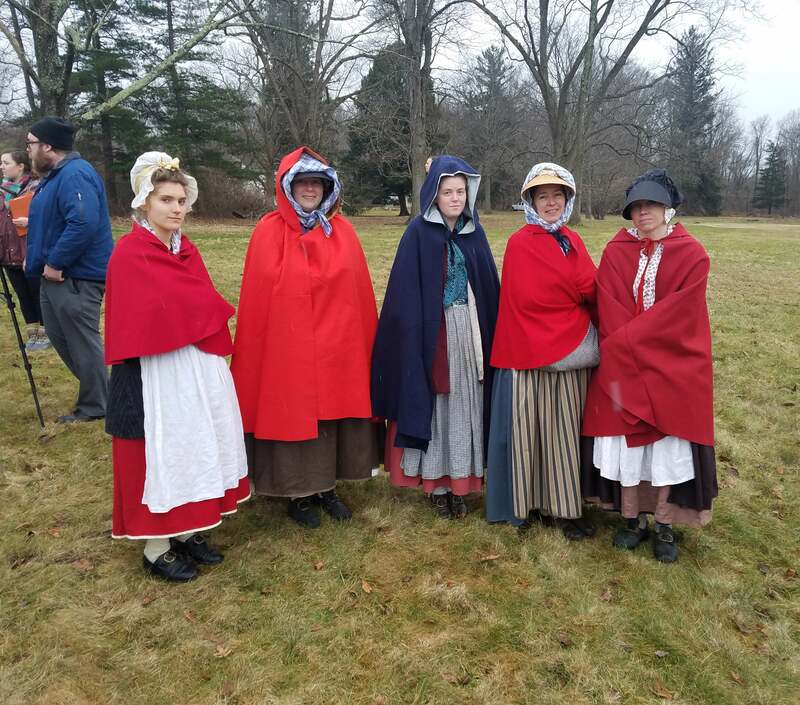 Brave women provided support on the battlefield, and they are represented by, from left, Margaret Morra and Juliana Goodwin for the Continentals and Elisabeth Harmor, Carrie Fellows, and Jenna Dean for the British. The Princeton Battlefield Society, a nonprofit group founded in 1970 for the purpose of preserving the battlefield, had been involved in a long-running legal dispute with the Princeton-based Institute for Advanced Study over the institute’s plans for new faculty housing. The society objected to the institute’s proposed residences because they would have intruded on part of the battlefield where Washington arrived on horseback, Jerry Hurwitz, president of the group, said in an interview. The matter was resolved last May. The institute, an independent postdoctoral research center, and the American Battlefield Trust closed on the trust’s $4 million purchase of 14.85 acres near Princeton Battlefield State Park. The newly acquired land, which eventually will be conveyed to the state of New Jersey as an addition to the park, includes roughly two-thirds of the Maxwell Field property. It also includes a 1.1-acre tract to the north that historians identify as a key part of the battlefield, according to a report the trust provided to The Daily Signal. As part of the agreement, the Institute for Advanced Study adjusted the size and scope of its housing project. The American Battlefield Trust is a nonprofit, nonpartisan organization dedicated to preserving battlefield lands associated with the Revolutionary War, the War of 1812, and the Civil War. To date, it has protected more than 50,000 acres of battlefield land. What happened here was remarkable. The two armies were like ships passing in the night, one marching up to Princeton and another down to Trenton. It’s also only because one of the British soldiers saw the glint of sunlight on one of the American muskets in the early morning that the two armies met on the battlefield. This was not a planned battle, but Washington accomplished everything he wanted by capturing Princeton. This report has been modified to include more information and quotes from re-enactors Brandon Aglio and Joshua Mason.